Prime Minister Viktor Orbán and Vietnam Communist Party General Secretary Nguyen Phu Trong. Photo: MTI. In a passionate speech last February Mr. Orbán complained that the sins of Communism are still excused by the West. He explained that Communism, similarly to National Socialism, came to exist in the 20th century as “an ideological product of the West;” yet the ideology was forced to become “owned by us, central Europeans” in practice whereas it remained only an ideology for the West. 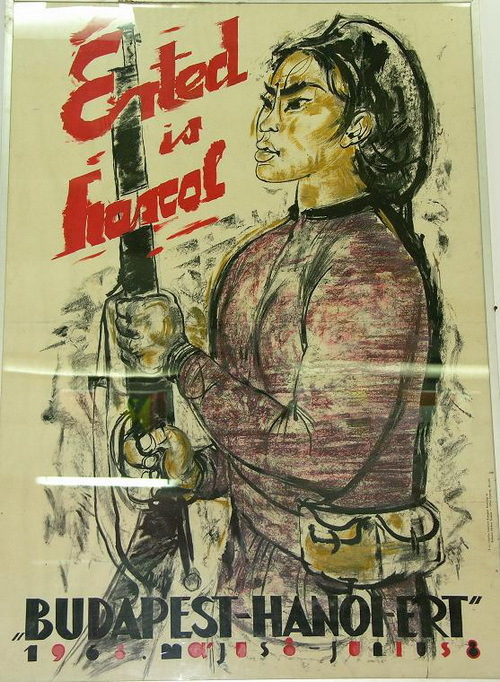 “They are fighting for you!” – Hungarian Communist poster 1966. I expected that Mr. Orbán would object to the statements since his government is a generous supporter of the Washington-based Victims of Communism Foundation. 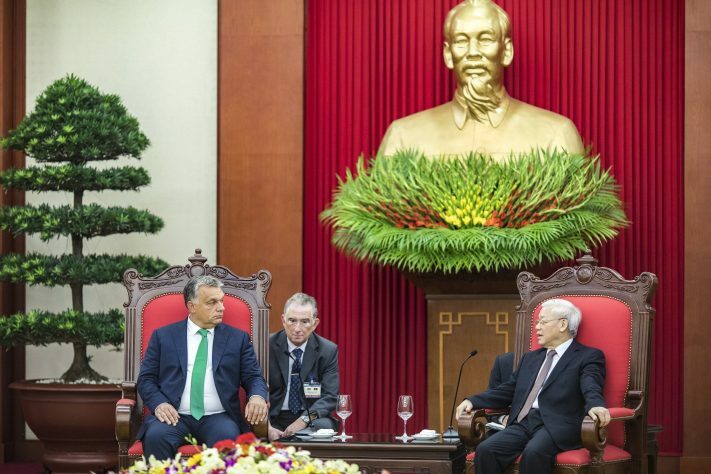 Orbán’s favorite historian Ms. Mária Schmidt hand-delivered a million-dollar check to the organization and in May the Foundation’s Chairman condemned Vietnamese Communism promising “to tell the truth about what is happening in Vietnam today.” (Watch Chairman Lee Edward’s speech.) 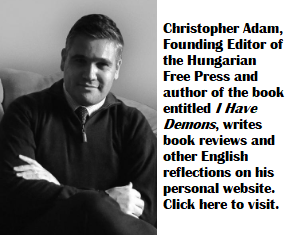 Mr. Edwards also visited Budapest to discuss with Mr. Orbán, an ex-Communist youth leader himself, how to uncover the crimes of past and current Communists. 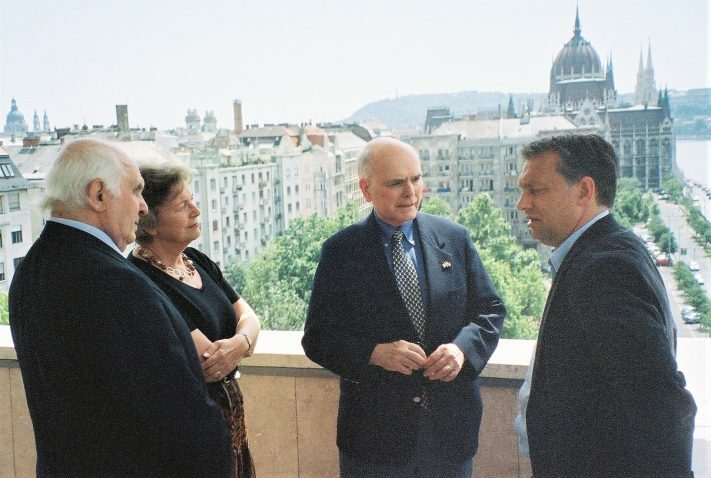 Mr. Lee Edwards (middle), Mr. Viktor Orbán (right), Mr. János Horváth (left) and Ms. Edith Lauer (Hungarian American Coalition) on the balcony of the “White House” (a building that houses MP offices) in Budapest. In Hanoi Mr. Orbán is praising his Communist friends; in Washington he supports the Victims of Communism Foundation to condemn the very same Communist friends. Doubletalk? Inconsistency? Or just Hungarian diplomacy as usual. The war has ended long ago. Both sides have buried the hatchet. Is the HFP try to re-ignite the flame of past war? Will the Reds of Hungary ever be able to live in the present, and perhaps for the future ? One criticim is due to Orban. He never held any of the guilty responsible for their crimes. 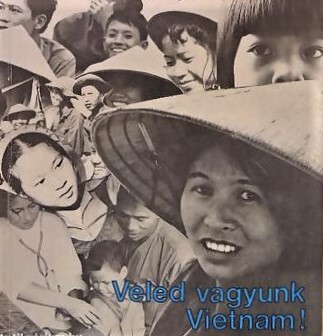 At least the people of Viet Nam today freely question if the war was worth all the sacrifices that it took. But they are progressing economically well. Hopefully Hungary will follow.